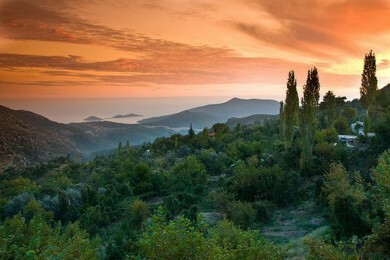 Kalkan is a popular seaside holiday resort and harbour town, located on the Mediterranean coast. It is close to Kas, and the famous Patara beach, where there is also historical site of ruins which many tourists love to visit and explore. Although it is a part of Antalya, it is closer to Fethiye and it is a beautiful coastal route between the two towns. 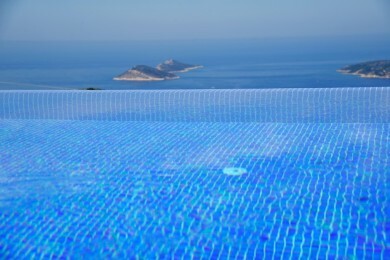 Kalkan is known for being home to modern, luxury and top quality properties in prime locations. 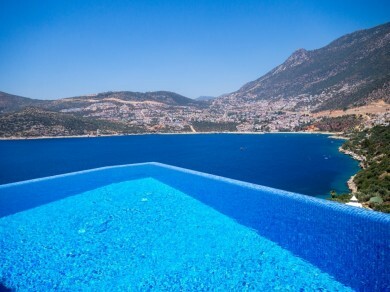 The mountain side curved round the bay, means that so many of the Kalkan villas have amazing sea views. another great aspect of Kalkan is that it offers guests to reside close to the town centre, or to be further up the mountain side in complete tranquility and privacy. Villas in Kalkan are most often designed in a way that the magnificent views can be enjoyed throughout the villa and to their full potential. 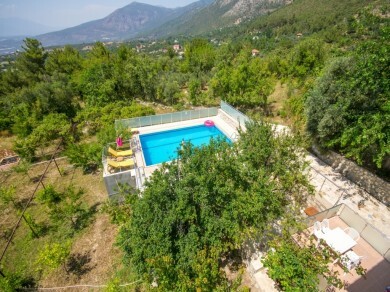 This includes large windows and french doors, villad built with all or most bedrooms at the front of the house, and large balconies and roof terraces. The properties also provide you with a peaceful location to stay so that you can relax and feel comfortable, and yet you are just a short distance from all amenities. These amenities include some of the main supermarkets of Turkey, as well as smaller, unique gift shops, clothes shops, and accessory shops. 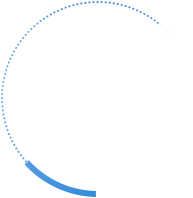 There is also a great selection of sophisticated restaurants offering all types of cuisine, low key bars, cafes and tea houses. As you venture into the villages you will find plenty of local restaurants and cafes serving authentic and traditional Turkish food and beverages, in a country side setting. 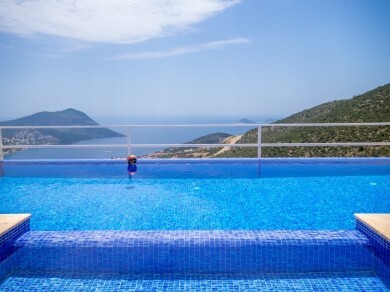 Kalkan’s beauty, variety, and luxurious properties are some of the key factors which make it one of the most sought after holiday destinations. There are several marinas in Kalkan, which means it is a great sailing destination, and for those who love the beach it is very close to the famous Patara beach, which is a long stretch of fine sand and beautiful clear waters. 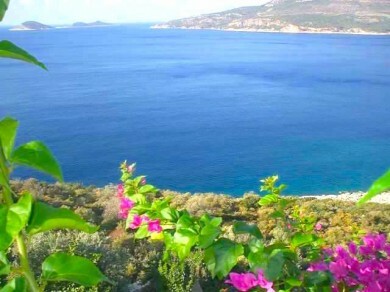 However, there are also some smaller beaches within Kalkan itself.